Welcome to The Birthday Box! who may not otherwise have a celebration on their special day. 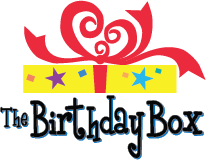 We collect toys and party supplies for kids 0-16 Years and create Birthday Boxes. We accept only new and unopened toys and supplies. 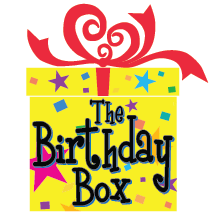 We would love to reuse your medium-sized card board boxes in good condition and recycle them into Birthday Box delivery boxes. Please contact us to arrange a pick up or drop off of any boxes you don’t need. Thank you very much for the “Birthday Boxes” that you deliver to our agency, specifically to the children in the “Hospitality House Program” and “Bernice’s Place”, our Children’s Program. You have no idea how much joy you bring not only to the “birthday child”, but to the whole family. The birthday box program has been a tremendous addition to our Early Childhood hallways. The opportunity for young children to give back is priceless and teaches them an important lesson. The program is in sync with the values we teach in school and we love when the box is full of goodies to be delivered to those in need. I want to thank you both so very much for providing us with The Birthday Boxes for our Children. We are very grateful and thankful for your help and support. Our Headquarters is located in NJ. We currently serve the North/Central NJ area. Our Maryland Division currently serves the Greater Baltimore area. Our New York Division currently serves the Westchester County area.